The relationship between Talwar Thakore & Associates (TT&A) competition chief Vinod Dhall - which was branded as Vinod Dhall in collaboration with Talwar Thakore & Associates - is over. TTA lawyer Ram Kumar - who had been promoted to counsel at the firm last year - will be taking over the competition practice at the firm. He had been with Dhall for around 10 years. TTA, which is the close best-friend law firm of international law firm Linklaters, commented: “TT&A and Vinod Dhall have, following discussions, mutually agreed to terminate their relationship and will be pursuing their opportunities in the field of competition law independently. We have reached out to Dhall for comment. Update 19:53: Dhall reiterated TTA’s statement that they both had “mutually agreed to terminate their relationship”. In December 2018, Dhall had won a permanent injunction from the Delhi high court against Major Pankaj Rai, who had filed a petition against Dhall. While not making any rulings on the merits of their dispute, the high court restrained Rai from “maligning or defaming the Plaintiff in the public domain or tarnishing his professional image in any manner whatsoever. This shall however not bar the Defendant from raising the issue in respect of Rule 7 of Chapter III of the Bar Council of India Rules and Section 37 of the Advocates Act, 1961 in the appropriate fora”. In June 2018, a public interest litigation (PIL) against Dhall in the Telangana & Andhra Pradesh high court had been dismissed on technical grounds, as not being a valid PIL. Petitioner Major Pankaj Rai had argued that Dhall should be prevented from representing petitioners before the Competition Commission of India (CCI), because he had been chairman of the body until 2008, before he had joined TTA, as reported by Bar & Bench (paywalled) at the time. An officer after his retirement or other-wise ceasing to be in service for any reasons, if enrolled as an Advocate shall not practice in any of the Judicial, Administrative Courts/Tribunals/Authorities, which are presided over by an officer equivalent to or lower to the post which such officer last held. Rai added: “He also ensures that complex combinations are granted approvals by Respondent No 2 [the CCI]. Respondent No 2’s collusion is evident from the fact that when it was brought to his notice; vide his letter no CPGRAMS/CCI/Legal-II/2017/7221/2389 dated 05 Mar 2018 he has defended and justified the unlawful action of Respondent No 5 [Dhall] by stating that Rule 7 of Bar Council of India Rules is not applicable to it. Since the petitioner-party-in-person has a dispute with the 5th respondent, and as he has himself stated in the writ affidavit that in cases instituted by him the 5th respondent is appearing on the other side, the present Writ Petition cannot be characterised as a Public Interest Litigation. Rai had vowed to file a review petition at the time. Like+1	Object-25	Comp guy	2 months ago troll? This is massive! He is a big name in the competition space, let's see where he moves. Not really. He was a big name in the competition space about 5-6 years back. Not anymore. Legacy comes with an in-depth knowledge of the subject, which is sort of missing in most of the competition lawyers in India. They have been busy attending conferences and distributing visiting cards than acquiring and applying knowledge to the cases. Such guys are good for strategic advisory, not for the logistics of things! If this is true, he's definitely in violation of the BCI circular! Good on TTA to finally stop the alleged illegality, but not sure that they're absolved of the alleged prior illegal conduct. Of course, the same principle would apply to others in the competition space as well, as former DG and CCI officials are part of several competition practices and advisory firms. Unlike VD, some don't even make it a point to not appear before the CCI. Team left behind (why?) must be very good but idea of running a business is very different from doing work (once you have). Is it admission that TT team left is good for only 'standard' mandates? Newbies like Chandhok are doing complex matters so is the new TT reduced to a beginner from a ranked firm? Team is left behind because they didn't want to go with him. Yes, they probably have been reduced to a tier IV firm without him, but they weren't exactly tier I with him. The competition. Law tier I is SAM, AZB, and Trilegal. VD-TTA was tier 3 at best. And TTA also hasn't been involved in anything major before the CCI or NCLAT in over a year.. Please name 5 major matters that Trilegal has done in the last calendar year. I think SAM, CAM, AZB and KCO would have done many more than Trilegal. Trilegal has an upcoming practice at best. Seriously, you seem to have quite an insider knowledge about why team stayed back. Kian could we have some comments from the team? Dhall had got some good clients overall, last year they virtually were non existent.. the point is with Dhall of they faded away.. with team they will be on a uphill task. Mind you, Dhall has not retired - going to Platinum is a clear sign that he will be active and is likely that his clients will go to him. Team should be careful because TT is happy in heritage building, Jasola is not their liking. Funny, everyone except Dhall knows that the team hates being in Jasola. Now with Boss out, they will be heard. 1- he was self designated chairman (actually nothing more than senior most government servant deputed to a newly formed CCI. 3. - he was NOT a CCI employee (let alone being Chairman) when the enabling statutory provisions came into force. We all know that Section 3, 4 and later 5 and 6 are the Mother Provisions without with CCI is toothless. 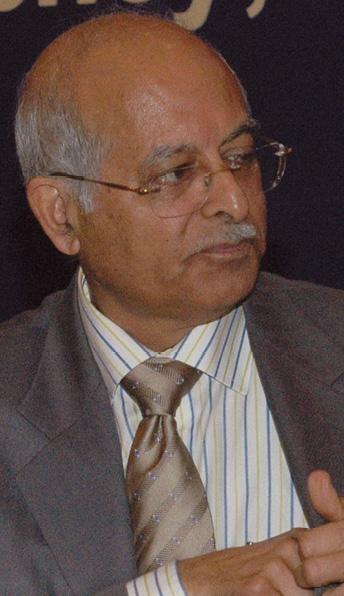 Dhanendra Kumar was the first ever Chairman of the CCI when it actually was empowered. NONE of the Mother Provisions were enforced when Dhall was there..but ALL Mother Provisions got notified when Kumar was Chairman. (www.compad.in/team). In 2009 Section 3 and 4; and 2 years later 'Combination Provisions' Section 5 and 6 got notified. ironically, Dhall claimed to be 'Chairman' a post which didn't exist until Dhanendra Kumar was appointed; and now this PIL is hitting him for his own self (incorrect) claim. Recall- DLF was penalized over Rs. 600 crores for abuse of dominant position (S.4) and one of the factors which came into play was that DLF on its own used to claim it is the dominant player! Dhall incident is a similar one - Self Goal! hope this does not goes into a Surreptitious block by Kian! Just count the number of people who have left TTA. Horrible policies, policing, micromanagement by the lawyering greats in the firm have resulted in this debacle. Hardly a better man than VD in the team. This is a cover up. Also, the [...] who claims to be a corporate and employment lawyer should rethink his strategies. Or else he can just sit back and enjoy the heritage. TTA is no better than the other biggies. Why curse only the big guns like CAM, SAM, AZB as having bad work culture. TTA does not treat all juniors well. It is an eyewash. Luthra tried to poach him, but he was conflicted. The real question is not if Dhall is effective but is TTA any good without Dhall. Guys left to run the practice may be good at work but running a practice is a different. Like+1	Object-24	Ladiesman217	2 months ago troll? Anyone who's ever met him would know that his knowledge on competition law is seamless. He is twice the competition lawyer than anyone else in the circuit. Looking forward to where he moves! Kian Ganz, why do you surreptitiously choose not to publish my comment? A lot of friends in TTA, maybe? I know who they are. You are quick on posting things against SAM, CAM though. I always knew you were quite unfair. You just proved it. Shame Kian, shame on you! And also, you masquerade as a legal journalist? 1. Surreptitious means that it's done secretly. When we don't publish a comment you can see it. 2. Your comment's language needed some moderating, which takes longer in the queue, but has now been done. 3. Take better care of your language in future, and your comments may go up faster (though judging by your ad hominem against me, that seems unlikely and also tars your above comment). Kian, a basic question regarding the new comment preview feature. When it says that a comment has not been published, as opposed to it is awaiting moderation, does it mean you have taken a specific call not to publish? Or can it be that if a comment has not been moderated within a certain period of time, say 24 hours, it will automatically be reflected as having not been published? Hi, sorry for the delay, and thanks for asking. Generally, it'll say "awaiting moderation" for the first 24 hours, if I recall correctly, and become "has not been published" after that. Very rarely, we miss a comment and forget to moderate it, but usually after 24 hours it means that it won't ever get published. Sometimes, in the case of comments requiring editing, it can take a bit longer to publish so they'll sit in the queue for a bit longer. If you have any feedback or requests about how we can improve the process, please do let me know and we'll try to implement. Maybe have a different pop-up for when a comment has been seen and not published specifically, versus one that just might have got overlooked? In which case the commentator still has the option to remind you about it as I have done occasionally myself. That way, she can figure out whether it's simply been overlooked or you have taken a call not to publish it because it doesn't fit the acceptable standards. Keeping aside his stellar reputation, i think it will be interesting to see how BCI concludes on applicability of Rule 7. Dhall's matter will either make things worse or good for other such practitioners, if at all BCI agrees to act on such issues. ...do you remember when last time BCI concluded anything, except on protest march, strikes and opposing entry of foreign firms? At some level, this looks like a smoke screen. TTA and Dhall's man have conspired to get him out for their short term fears and interests, respectively. The man who created the practice and brought it at a respectable level has simply been thrown out after his use. Shameful. Ram is a great chap but it is unclear whether he has the nous to build up a practice against NKU and the like. It will be interesting to see what TTA will do here. From what I have heard, TTA seems to have had a lot of attrition. What seems to be the issue ? They were a good firm. Kian, can you have a premium paid package which allows users to read unpublished comments? Hi Dualipa, sorry for my delayed response, been travelling. Believe it or not, I have briefly thought about that idea in the past though there are some liability issues, since the ones moderated are usually defamatory and don't add that much to the conversation. It seems that Dhall was clearly in the wrong and kudos to TTA for dealing with it and getting rid of him rather than ignoring it. This “mutually agreed” is too convenient. Are clients going to be happy with the risk of another angry litigant taking action? They would then rather go to a genuine big name like NKU or SG. The current team is a good one and sure they will do well. Dhall's wrong or right is what the Courts supposed to decide and the links to High Court orders in the story do not find anything wrong against him. It's getting rid of the responsibility to stand together rather than running away. Is it believable that only Dhall committed the wrong wasn't TT in agreement with him. They ran a joint practice after all for all these years, conspire with Dhall to violate BCI rule then conspire with Dhall's own man to throw him at a time when it started raining. Perhaps the heritage folks should try their hands in criminal law, may be they do slightly better there.